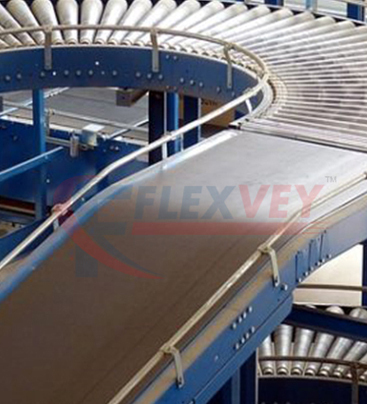 From many years, we have been figured in the market as the foremost Powered Roller Conveyor Manufacturer. Chain-driven Powered Roller Conveyor are typically used in industries Warehouse & Logistics and palletising. These Powered Roller Conveyor simply can't slip and allowing application to move very heavy packages and pallet loads. In these conveyor possible to create an accumulation system with the chain driven technique. Conveyor System with Shaft driven is best choice for lightweight packages. The offered transport frameworks these Powered roller conveyor are utilized in interior situations to lessen time and work of transporting of packs and different items unit they are stacked in trucks. So as to coordinate the assorted inclinations of the customers, we convey this in dispensed time period in different bundling choices at spending well willing costs.